Garnets from different migmatites and granites from the Damara orogen (Namibia) were dated with the U-Pb technique after bulk dissolution of the material. Measured 206Pb/204Pb ratios are highly variable and range from ca. 21 to 613. Variations in isotope (208Pb/204Pb, 206Pb/204Pb) and trace element (Th/U, U/Nd, Sm/Nd) ratios of the different garnets show that some garnets contain significant amounts of monazite and zircon inclusions. Due to their very low 206Pb/204Pb ratios, garnets from pelitic migmatites from the Khan area yield Pb-Pb ages with large errors precluding a detailed evaluation. However, the 207Pb/206Pb ages (ca. 550–500 Ma) appear to be similar to or older than U-Pb monazite ages (530±1–517±1 Ma) and Sm-Nd garnet ages (523±4–512±3 Ma) from the same sample. It is reasonable to assume that the Pb-Pb garnet ages define growth ages because previous studies are consistent with a higher closure temperature for the U-Pb system in garnet relative to the U-Pb system in monazite and the Sm-Nd system in garnet. 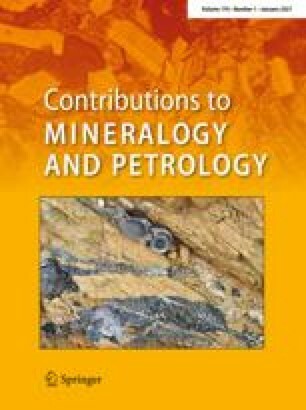 For igneous migmatites from Oetmoed, Pb-Pb garnet ages (483±15–492±16 Ma) and one Sm-Nd garnet whole rock age (487±8 Ma) are similar whereas the monazite from the same sample is ca. 30–40 Ma older (528±1 Ma). These monazite ages are, however, similar to monazite ages from nearby unmigmatized granite samples and constrain precisely the intrusion of the precursor granite in this area. Although there is a notable difference in closure temperature for the U-Pb and Sm-Nd system in garnet, the similarity of both ages indicate that both garnet ages record garnet growth in a migmatitic environment. Restitic garnet from an unmigmatized granite from Omaruru yields similar U-Pb (493±30–506±30 Ma) and Sm-Nd (493±6–488±7 Ma) garnet ages whereas the monazite from this rock is ca. 15–25 Ma older (516±1–514±1 Ma). Whereas the monazite ages define probably the peak of regional metamorphism in the source of the granite, the garnet ages may indicate the time of melt extraction. For igneous garnets from granites at Oetmoed, the similarity between Pb-Pb (483±34–474±17 Ma) and Sm-Nd (492±5–484±13 Ma) garnet ages is consistent with fast cooling rates of granitic dykes in the lower crust. Differences between garnet and monazite U-Pb ages can be explained by different reactions that produced these minerals at different times and by the empirical observation that monazite seems resistant to later thermal re-equilibration in the temperature range between 750 and 900 °C (e.g. Braun et al. 1998). For garnet analyses that have low 206Pb/204Pb ratios, the influence of high-μ inclusions is small. However, the relatively large errors preclude a detailed evaluation of the relationship between the different chronometers. For garnet with higher 206Pb/204Pb ratios, the overall similarity between the Pb-Pb and Sm-Nd garnet ages implies that the inclusions are not significantly older than the garnet and therefore do not induce a premetamorphic Pb signature upon the garnet. The results presented here show that garnet with low 238U/204Pb ratios together with Sm-Nd garnet data and U-Pb monazite ages from the same rock can be used to extract geologically meaningful ages that can help to better understand tectonometamorphic processes in high-grade terranes. This work was supported by the Max-Planck Society. S.J. would like to thank A.W. Hofmann for free access to lab and mass spectrometry facilities over the years. Discussions with W. Todt, U. Poller and A. Möller are highly appreciated. Iris Bambach is warmly thanked for her patient help with the figures. We gratefully acknowledge the very constructive and unbiased reviews given by B. Bingen and R. Frei, which helped to improve the original manuscript.